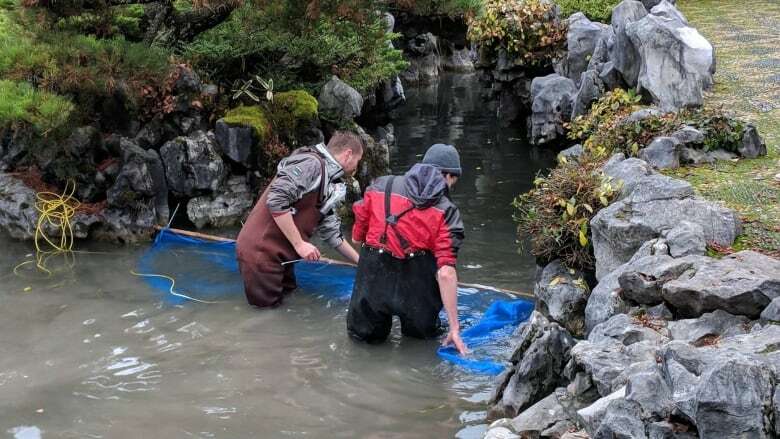 Four koi are left at a classical Chinese garden in Vancouver after an elusive otter killed another three of them over the weekend. That's the number of koi left at Vancouver's Dr. Sun Yat-Sen Classical Chinese Garden after an elusive otter killed another three of the decorative fish over the weekend, upping the death count from seven to ten. "We're sad, but at the same time we try to be hopeful," Debbie Cheung, the garden's spokesperson, said Sunday. 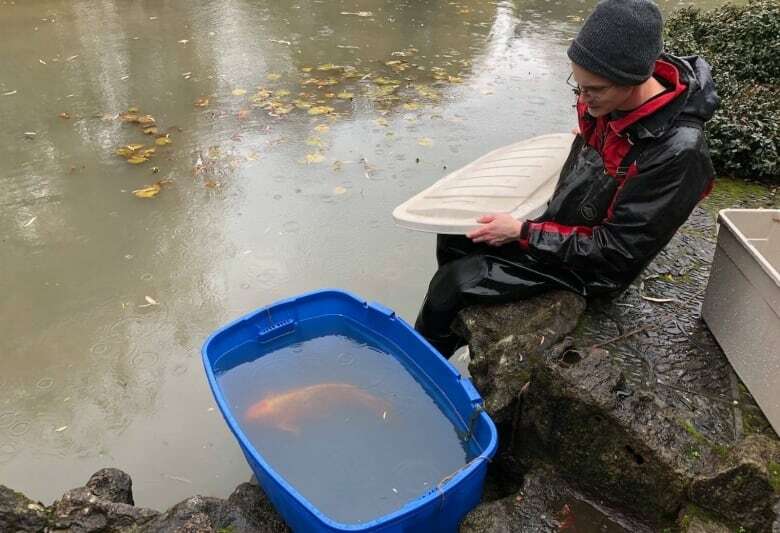 There was a glimmer of hope the day before, when garden staff caught and relocated one koi to the Vancouver Aquarium. But the other three have been tough to catch, Cheung said. Staff wading in the ponds have stirred up a bed of clay, clouding the water and alerting the koi. Cheung said the koi are showing signs of stress and not responding to a gong that's normally used in the water to summon them for meals. The otter, which travelled hundreds of metres from the ocean, has rampaged the garden for more than a week. He remains on the loose, so far evading humane traps set up by a wildlife relocation expert. The plan is to send the otter to the Fraser Valley, about an hour's drive from Vancouver. The garden will be closed until further notice. More updates are expected Monday.